Hi and welcome to November! I thought that we would have a bit of fun this month, in the spirit of the Loy Krathong festival and my birthday month. So the asana we will be practising this month was inspired by Loy Krathong and is also a big favourite in my kids yoga classes – it always gets a few smiles and giggles. I don’t know about you but I always jump at any chance to feel like a big kid again and I have to admit that this posture is definitely part of the big kid ingredients. 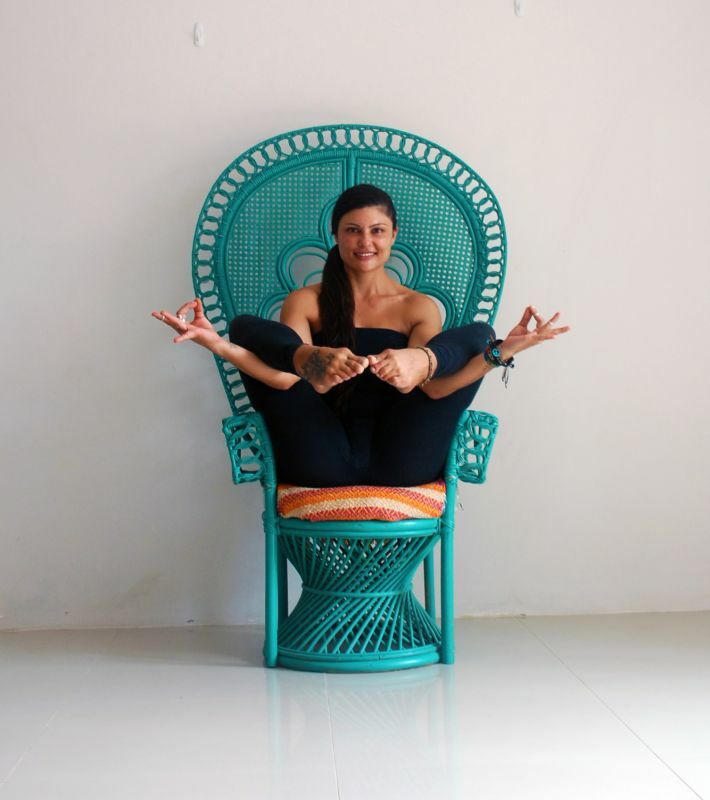 The asana is called Vikasitakamalasana or blossoming lotus pose. The words Loy Krathong can be translated as “to float a basket”. This month’s yoga pose also requires you to feel like your chest and head are floating as your hips and seating bones are sinking. The flowered krathong decorations floating in the water symbolise the release of anger and hate. This idea of letting go is a great inspiration for our asana this month. As we settle into this month’s asana, we will feel the mind release fear and uncertainty of failure. The mind will begin to feel focused and strong, with a sense of achievement. The fun part of this asana is the giggles you have trying to hold the balance on the first few attempts. The blossoming lotus is also a great way to: work your back, spine, waist, core and glutes, forcing you to make micro adjustments in your core to help you balance. An awesome way to build a six pack! Follow the steps below, to be on your way to becoming your own blossoming lotus. 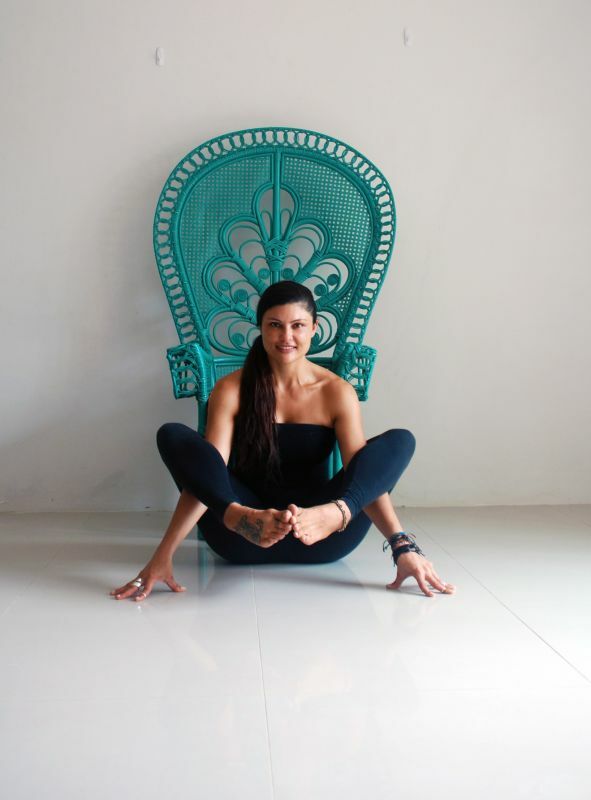 Sit upright on your mat with the soles of your feet together in butterfly pose. Relax your knees and let them stretch gently toward the ground. Put your hands underneath your calves so your calves rest on your wrists and your hands are resting on the floor, if you are a beginner to this pose, keep you hands on the floor and rest your back against a wall to help with the balance (see photo one). Rock backward onto your tail bone as you pull your legs into the air, palms are facing upwards. The head and chest float as the hips and bottom sink. Keep the core active. Lower to butterfly and repeat. There is a lot of fun to be had with this asana and laughter is sometimes the best medicine.